Prime Minister Scott Morrison said the Coalition was prepared to use "a big stick" to stop energy companies gouging Australians. Earlier this year the consumer watchdog said electricity prices were too high and it made a series of recommendations on how to reduce costs. The biggest suggested change was the introduction of a base or "default" price for power in each jurisdiction. Doing this would ensure customers were not being exploited for staying with a standing offer from their supplier, rather than shopping around for a better deal. And that is what the Government is intending to do as part of a four-part package to fix the energy market and save consumers hundreds of dollars a year, Mr Morrison said. Mr Morrison said: "The first one is to empower customers with a price safety net and to end the loyalty tax put on customers all around the country simply because they've stayed with their electricity company, they pay more. That has to end." "Secondly, to give ourselves, as a government and through the Parliament, a big stick to keep these big energy companies in line, to stop the gouging, to ensure they pass on the savings that are being achieved in wholesale prices." "Thirdly, forcing energy companies to buy ahead and contract reliable energy supply into the market — fair dinkum power, as you've heard me call it — from the generators, so we can keep the lights on and we don't see a repeat of the fiasco we saw in South Australia." "There needs to be more reliable power generation going into the system to ensure that that can get prices down," Mr Morrison said. The Prime Minister said there would be big savings once the plan was in place by July next year, which is after the next election. 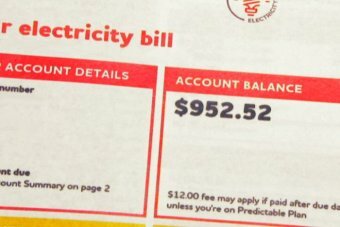 "On the residential customers — this is just on the default price — the savings for residential consumers range from $273 in the ACT through to $832 in savings in South Australia," he said. "For small business customers, it can be as high as $3,500 a year in South Australia, and just under $1,000 in the ACT." The Australian Competition and Consumer Commission (ACCC) made the default price recommendation in its Retail Electricity Pricing Inquiry report. When he released the report, ACCC chairman Rod Sims described the default price as "really important" and recommended it be set by the Australian Energy Regulator (AER). Today Mr Sims said he was very pleased with the Government's announcement. "Introducing a default offer is going save about a quarter of small businesses at least $1,000 a year on their electricity bill," he said. "Also a default offer will save households $200 to $300, who are still on standing offers. "Most importantly though the default offer will have a benchmark against which discounts can happen, so now consumers will know a 20 per cent discount is better than a 10 per cent discount. "They're completely confused now; having that clarity of a common default price from which discounts occur will allow consumers to better engage with the market and get the best offers available." Energy Minister Angus Taylor said for too long, consumers had been getting a "raw deal". "We know the energy market has not worked in the interests of consumers, households and small businesses as well as larger businesses," he said. "We need to get the energy companies under control to stop the rip-offs." Why is it a saving of $800 for some, and less for others? Energy Consumers Australia chief executive officer Rosemary Sinclair said the Government had calculated the savings from the standing offer available in the market. A standing offer is the mechanism that was designed to be a safety net for consumers who don't shop around for a better deal — or what's called a "market offer". Ms Sinclair said that over time, the prices of standing offers had risen to "very high levels", and the savings would be significant when the Government's plan went ahead. "It depends on what state you're in, and the difference between the market offer and the standing offer is how we get to $800 in some states, or $300 or $400 in other states," she explained. "It will be very, very worthwhile because the consumers that we're talking about who are affected most by this are those consumers who are most vulnerable to energy prices. "Over time everybody will [see lower prices]. "What we'll see in the market offers, which is the competitive offers, is we'll see lower prices there because the second limb of this set of changes is about putting in place a reference price, which will make choice much easier. "It will be much easier to shop around and that will rebuild confidence and trust as people see it's easier to get a better deal and my bill is lower." The Australian Energy Council, which represents 22 electricity and natural gas businesses, said price re-regulation was not the answer. Chief executive Sarah McNamara also cast doubt on how much consumers would save. "The ACCC said that the annual savings attributable to its default price recommendation would be between $105 and $165," Ms McNamara said in a statement. "This is much lower than the $832 savings per year suggested today — savings of that magnitude are only available for a customer who switched from the highest priced offer in the market to the cheapest deal. 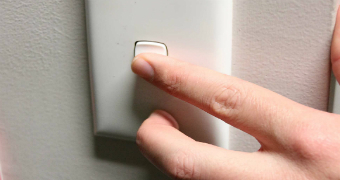 "For the majority of customers who have already switched to a market offer, the Government's proposed default price won't lower their bills."